Looking for a delicious taste of summer/winter anytime…? If yes, then am pretty sure that this article will be useful for you. For almost few months, my mamma and I have been boiling Kombucha at home and have tried all sorts of flavors. 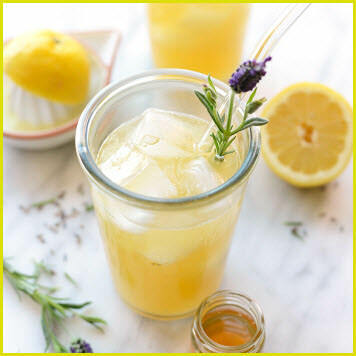 Are you excited to try my healthy kombucha recipes out of best…? If yes, then get ready. Let’s prepare..come on come on…! Keep refrigerated and use within 15 days of opening. Shake gently. Note: Take care to expel bottles each day. I.e…, you have to open and release the pressure of bottles when the fermentation creates because it may explode. Take a gallon glass jar. 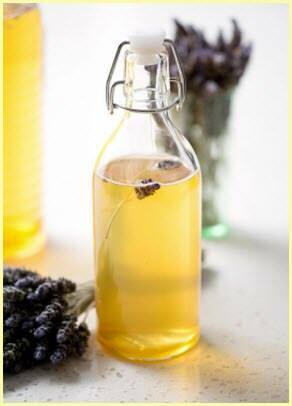 Add 3 tablespoons of dried Lavender Flowers. Gently stir brew and close lid. Allow the kombucha to ferment for 1-4 days. Keep the bottle in a cool place and wait for 1-4 days. Close the lid and store it in a fridge. 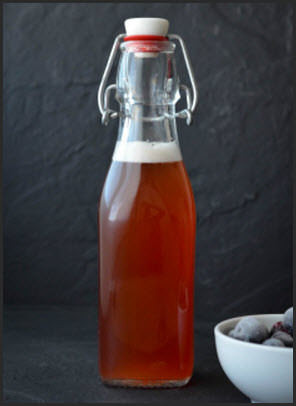 You will need to do a second ferment if you like Carbonated Kombucha. For second fermentation what you have to do is… Instead of storing kombucha in a fridge, store it out of direct sunlight for 1-2 days.